OK, you might be thinking “golf balls”? 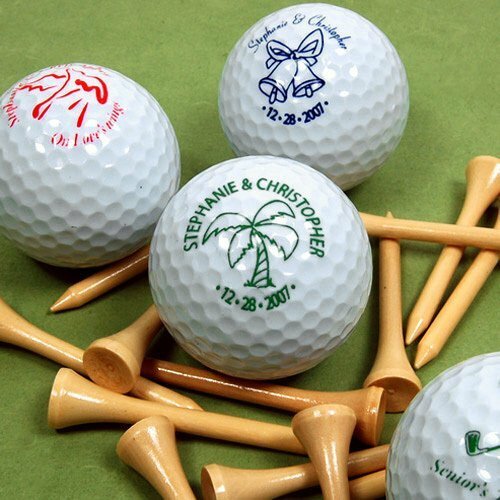 But this could be a really fun wedding favor – and you don’t even need to like golf. 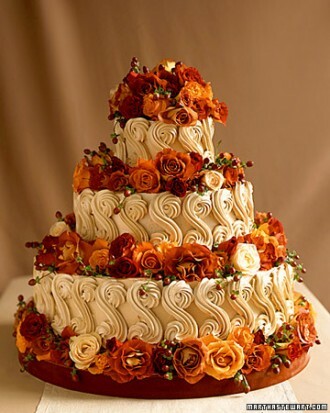 As much as I love wedding cakes with color – especially fall colors – there is something to be said for all-white wedding cakes. 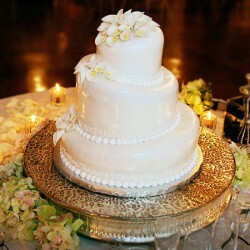 An all-white wedding cake can be stunning and elegant and just downright beautiful when done properly. Roses are one of my favorite flowers to choose when you want to add fresh flowers on a wedding cake. There are so many colors and varieties of roses which means you can use them year-round no matter the season. 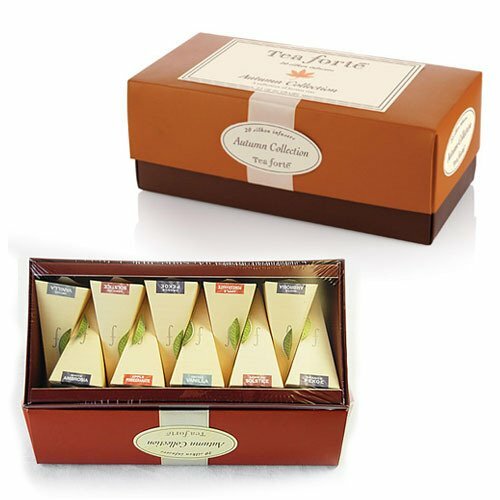 There’s no denying it – the holidays are just around the corner. And if you’re thinking about the perfect favor for your holiday wedding, I have a suggestion. 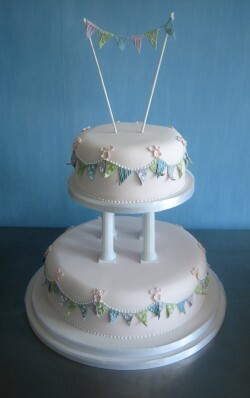 As we cling to the last days of summer I wanted to showcase this cake because it reminds of an old fashioned summer fair. This gorgeous two-tier wedding cake was created by our friends at Hockleys Cakes and they described it as typical English afternoon tea cake. 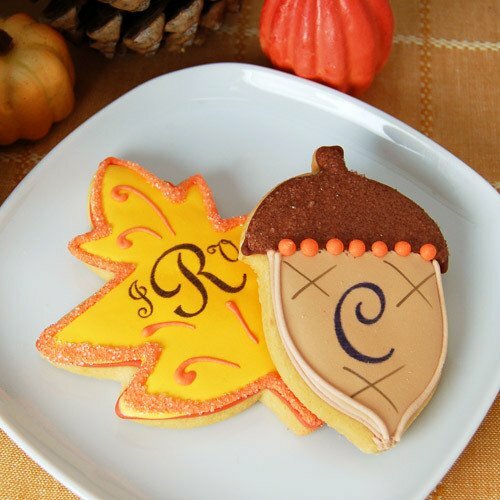 It seems as though I’m on a cookie theme this week. Or maybe I just need to bake some cookies. Either way, I’m loving these fall-inspired cookie favors! There is something to be said for a lovely one-tier wedding cake. 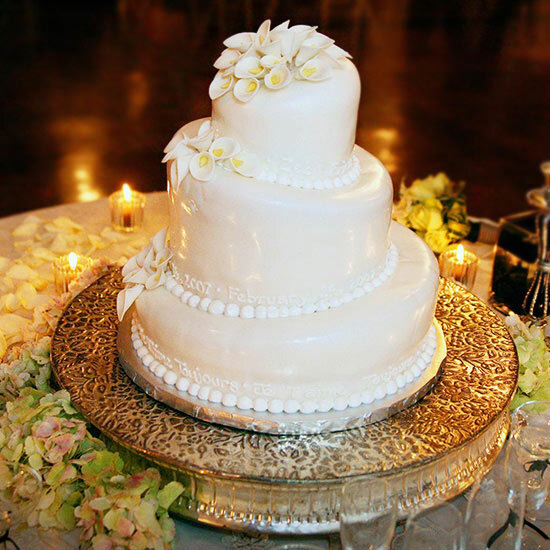 While I’m a fan of big wedding cake with many tiers and embellishments, I also think there’s no reason to go overboard on cake if you’re planning a small, intimate wedding reception. 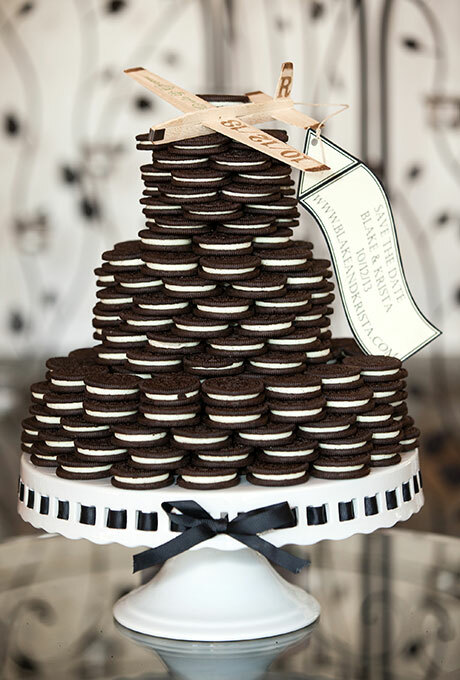 If that’s the kind of reception you’re planning then you’ll want the cake to match the small setting. 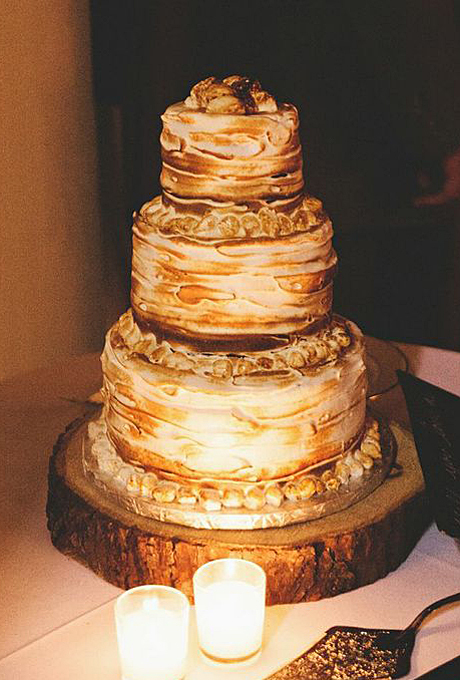 And that’s when you go for the single tier wedding cake. 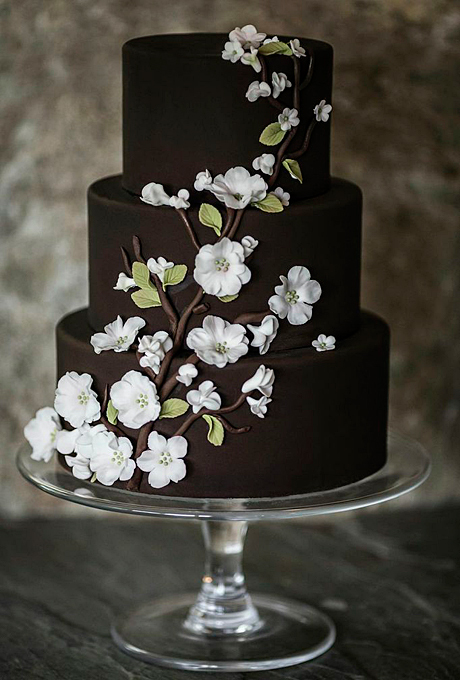 But small wedding cakes don’t have to be boring – in fact they should definitely stand out and make a statement. 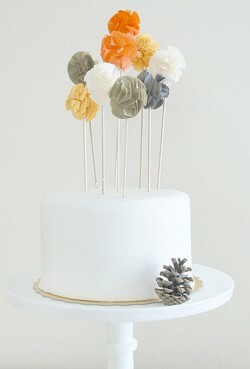 Like this beautiful one-tier cake topped with colorful pom poms. It’s pretty. And simple. And perfect for a small reception.The silver pine cone is a pretty touch and gives the cake a nice fall feel. And of course you could personalize the pom poms with your wedding colors. We found this cake here.